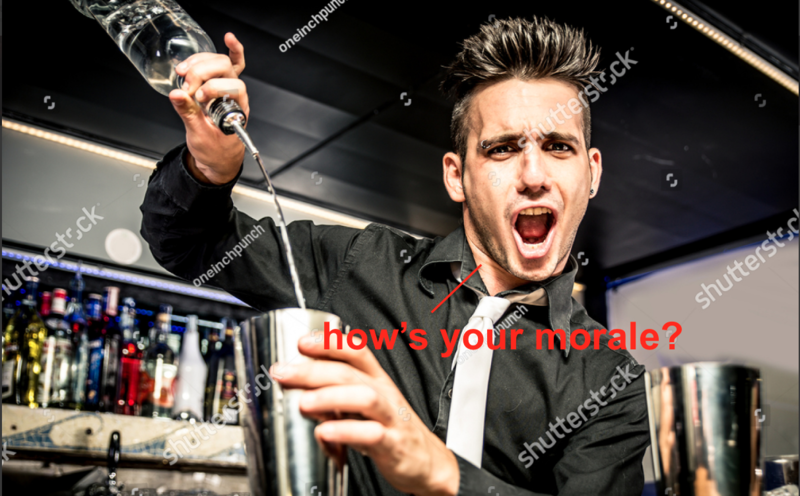 THE END OF HOW'S YOUR MORALE » how's your morale? Gotcha! You fell for the oldest clickbait/email marketing trick in the book. Sucker. It’s time for a break! Holiday madness, travel, and overwork are here. We picked out some of our favorite posts from early on. In the months when HYM was brand new and still smelled good, we missed more often than we hit. That meant fewer people read the good stuff—hence the reheats. Big stuff is in the works. 2019 will feature some exciting new projects that need extra time and attention. Anyway, thanks for reading. We appreciate your continued support of HYM, and the War on Christmas.